Sony Smart Band 2 is a new advanced fitness wristband tracker with built-in heart rate monitor, which seems to be the new feature all activity tracker bands should have these days. It is an updated version and successor of the first smart wear from Sony simply called SmartBand. It’s a bit similar to its competitor Fitbit Charge HR in functionality and size and it the product can measure your activity level through the whole day, 24/7, as well as your training, your sleep pattern and pulse, but it has a few other cool features as well. In essence, it is a fitness tracker that also tracks your everyday movements. Watch the official product video further down this article. Sony wanted to make the most advanced fitness tracker on the marked with the second Smart Band. The question is, did they manage it? At least it’s more advanced than the previous Sony SmartBand which didn’t have the integrated heart rate monitor. The sensors can distinguish between walking and running, and all the data is logged automatically on the fly. The results are visible in the mobile app called Lifelog that keeps track of your progress and other factors. More on the app later. 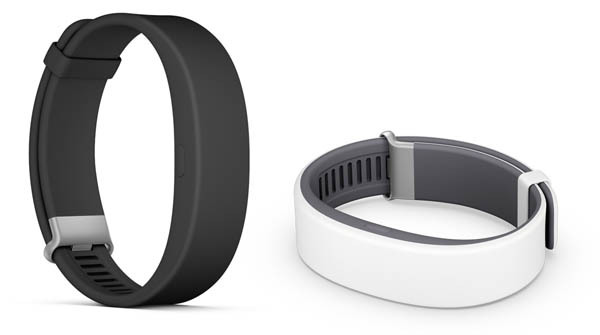 The main difference between this second version and the previous Smart Band, is the new included HR Monitor. The smart device measures your heart rate instantly. It monitors pulse and Heart Rate Variability (HRV). 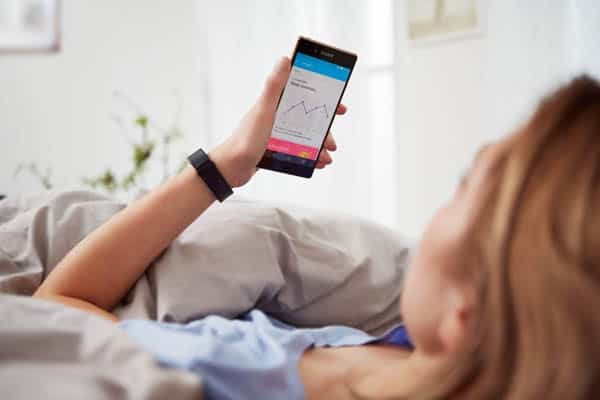 Together with the accelerometer, the gadget gives you information about your health, activity, and actually how much you are stressing through the day. This stress measuring function is a pretty cool and a feature I have been waiting for in wearable gadgets. It is pretty cool to see your Heart Rate in real-time on your phone, which is possible. Let’s take a look on how well it is built. Sony SmartBand 2 feels light and comfortable on the wrist. The band is a snap-on type made of rubberlike silicon without outer grooves or details, just minimalistic and flat. Maybe a bit boring, but I like it. The product is sturdy and robust and the quality feels good. The whole fitness tracker is a bit bulky, but since the gadget has built-in heart rate monitor I think it’s excused. The chicklet core device (the tracker itself) is actually very small. It has a button and a MicroUsb charging port. There is no display on this activity tracker. The band comes in four colors and since the module itself is possible to remove, changing wristband is easy. When you are tired of the standard black and white colors, get yourself the extra bands with colors indigo and pink. It’s up to you what you want or how many band colors you need for every occasion. The activity tracker module itself is white. The fitness tracker is waterproof to IP68. It means it can be used in fresh water for 30 minutes at depths of 3 meters. It is no problem using it in pools with chlorinated water as long as it’s rinsed properly afterward, according to Sony. At least, you don’t need to worry if you forget to take it off in the shower. Before I’m going to talk about the battery, apps, and other neat features, here is a video. Scroll down for my final verdict. Watch this cool video from Sony called ‘SmartBand 2 from Sony– SmartWear with advanced heart rate tracking’ to see how it looks and what you can use it for. The activity tracker needs to be recharged with a MicroUSB cable quite often. With HR monitoring turned to continuous monitoring, the battery lasts for only 10 hours. If set up to measure every 6 minutes or so it lasts for two days. Sony claims the battery lasts for between 2 and 5 days depending on which mode the band is set to work wit. There are two modes, Normal mode or Stamina mode. If you want a fitness tracker with better battery life, check out the Garmin VivoFit 2. It doesn’t come as a surprise that you need to connect the Sony SmartBand 2 to either a smartphone like iPhone or a tablet. The app is free and is used to store statistics and give you feedback on what the device have tracked. When paired to a phone, you get notifications on the band itself as a vibration or blinking LED lights from calls, received e-mails or texts while exercising. It’s also possible to control the music playing on your phone on the band interface. Tired of forgetting your phone? It seems like the vibrating motor can be used for many different things and the designers have been creative here. Another interesting function is how the band vibrates when you are more than 10 meters away from your phone or tablet. Basically, that’s when the Bluetooth is out of range from the phone, so maybe it’s not so fantastic after all. This will work with all Android phones with Android 4.4 and iPhones with at least iOS 8.2. I addition to monitoring your sleep pattern and quality, you can set the band to be a silent, vibrating alarm clock. It will even wake you up in the optimal wake-up time, calculated by your sleep pattern. The silent vibrating will wake only you, not everyone else nearby. Wake up vibration is the same as in products like Jawbone. All your data and statistics are collected and viewed through the Sony Lifelog app for Android. The app shows you your activity level, where you went, pictures taken through the day and who you have communicated with. Here’s a video presenting the Lifelog app, even if they show the previous version of the activity tracker. The SmartBand 2 is going to be an affordable activity tracker for beginners to intermediate users. The built-in heart rate monitor is a huge plus. Apart from that, it’s more or less the same as the previous band from Sony, but a few design elements have changed. I also miss a small display but understand that you can’t get it all. At least, if you have a Sony Xperia phone it seems that the SmartBand2 is a great choice for a sleek activity tracker with a great built-in heart rate monitor. Before you decide, why don’t you read my Fitbit Charge HR review, which is a competitor with many of the same features. Hope you liked this review. Questions and comments are welcome in the commenting section below. I will answer them as quickly as possible. Colors Black and white as standard. Indigo (blue) and Pink as extra bands. Other than points above, Fitbit really works for me since my friends have it and the challenges among us keeps everyone motivated to not only achieve targets but try to win challenges by going beyond those targets. Hi Ankit. You have some good an valid points. I like the product range Fitbit has too, especially the Charge HR. Which Fitbit do you have now? I was impressed with the “cleanliness: of the website. When I first saw that it was a site about gadgets I just knew there would be a propensity for clutter as I have seen on many other sites that load the site up with so much “stuff” that it gets to be over whelming. However, I was pleasantly surprised. Your site was very organized and easy to maneuver. The flow was right on point. Or, on fleek and and younger generation would say! I liked the “Now Trending” marque showing viewers what they would find. 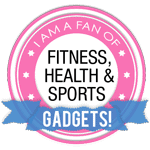 Another plus was the way you categorized your gadgets in the navigation bar for fitness, sports and health gadgets. Viewers can go right to the specific category they may need without having to skim through a lot of different gadget before they get to what they were looking for. The only negative that I noticed was with the pop up for the email sign up for the free e-book when I first got to the site. The font color in the form for the name and the email address boxes is almost unreadable because it is almost the same color as the box color (white). I actually had to lay my laptop screen as far down as it would go before I could see the slight contrasting font color. I would suggest that you make that font color a little darker to be easily seen. Oh yes, your request to have others write articles for your site was definitely a great idea. I enjoyed your site and your profile. I think your niche site is a perfect fit for you. You did a great job! Wish you much success. Hi Verna! Thanks for your long comment. I’m glad you took the time to take a decent look on my site. I have worked very hard with it tweaking and testing different design elements. I feel it gets better all the time. In just a short amount of time I have learned quite a bit about the Sony Smartband 2. Excellent review, the silent alarm is the feature I look forward to testing the most. The minimal design and ease of use is just perfect for the price. I haven’t heard of the lifelog app until now I’ll definitely check that out as well. The lack of display is a little disheartening but overall the Sony Smartband 2 is a great piece of tech. Thanks for the comment, Taz. There is always an advantage to have a display on an activity tracker, but it comes down to what you prefer. Check out the Microsoft Band 2 which have a display.